Camberwell Open Studios highlights the breadth of talent in this area of South London. 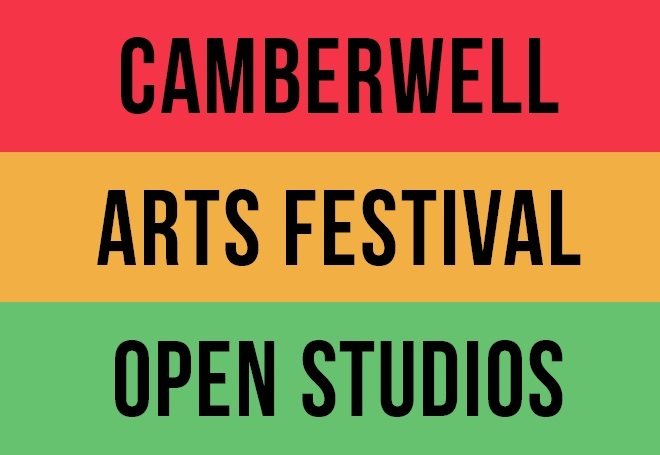 When compared with the behemoth that is Dulwich Open House, which transcends most of South East London and seems to take the full two weekends just to see everything on offer, Camberwell Open Studio’s is a somewhat more intimate affair. Camberwell hosts many studio complexes making visiting many different artists a breeze especially with just the half day I had to cram as much in as possible. I started my tour at Coldharbour Studios on Southwell Road. Here, Ceramics by Mimi Young graced the entrance hall and her simple, elegant designs were a great opener. Photgrapher, PhotosByTomTom whose great collection of works linked with confectionary and which the sweetie trail commissioned as part of the 2015 Camberwell Arts Festival has been a real draw for those younger visitors. Liz Charsley-Jory gave me a wonderful introduction to her technique for creating images of plants using photographic paper and paint and Tony Blackmore’s Flute Paper are incredible in their precision. For me, Camilla Brueton was the highlight at Coldharbour Studios. Her drawings, prints and collages linked with the modernist urban architecture of London are fantastic. Her white outline of the West Way on a brilliant blue background, entered into this years Camberwell Open was my favourite entry and the wider collection on display at her studio was excellent. At Warrior Studios, Phil Dobson’s psychedelic paintings in acrylic stood out to me, as did Jeremy Jeffs urban landscape photography. Empress Mews is a charming studio community and here, Anthony Slinn’s painting and sculpture pieces were great. Architectural Illustrator, Paul Draper gave us a fascinating insight into the etchings process at his beautiful studio space. His drawings are incredible. He has created a vision of Christopher Wren’s London, commissioned by a national newspaper which gives an insight to a very different London, had Wren’s full plans come to fruition.